The universe of LEGO Star Wars is changing. Some of the changes may be too subtle to notice at first, but it began more than a year ago. Before we look into the changes taking place now, and influencing the future, let us take a look at the way things have always been. Historically the LEGO licensing of the Star Wars brand has always been consistent. Star Wars had a three-year cycle between movies starting with The Phantom Menace in 1999, the year that LEGO acquired the rights. There were theatrical releases of Star Wars films in 2002, 2005, and 2008. Three years was sufficient for LEGO to create new sets and visit new ideas. Enough time passed to fully explore the themes presented in each film, and supplement them with Original Trilogy sets. In 2008, The Clone Wars presented an opportunity for an ongoing series to promote and stimulate sales of sets. The continued Media support gave the creators time to revisit and update older sets. The continued use of the same, or similar vehicles, allowed The LEGO Group to refine older designs, while simultaneously experimenting with a few new concepts. There was no pressing for LEGO to completely turn over all of the available products. They could phase out the previous film slowly to prepare for the next one. Original Trilogy sets could bridge the gap between the last of the previous film and the first of the new. That's most of LEGO Star Wars history. Before we proceed, let's take one last detour to the not-too-distant past. December 2014, the Millennium Falcon 7965 and X-Wing 9493 retired after nice, long runs: the TIE Fighter 9492 had also retired only a few months prior. The resellers were prepared for steady gains, because collectors that missed out were scrambling to find something that would fill a collection. It should have been at least 2 years before the next version of these iconic, and frequently remade, ships hit stores again. June 2015 rolled around and a very similar Millennium Falcon was leaked. The steady growth stalled and then fell. A new X-Wing and TIE Fighter also accompanied the Falcon, and the values stalled (momentarily) for their recently departed relatives. In December 2015, a bunch of Star Wars sets that had only been out for a year unexpectedly retired instead of reaching the average 18 month life span. In my opinion, the one year life cycle will not be an anomaly, it will become the new normal. We live in a universe where Disney is going to be releasing one Star Wars movie a year for the foreseeable future. For the first time in LEGO history, a new film will demand new product every Christmas. Long time collectors will want the new ships and characters, and new collectors will want whatever is most current. Turnover will be accelerated. I foresee the last of the Rebels packaged sets retiring in June 2016. Going forward, I believe that we'll see predominately Sequel Trilogy and Anthology sets. Refreshes will come, but they will be aligned with the film releases. Rogue One should facilitate the return of classic Original Trilogy sets. 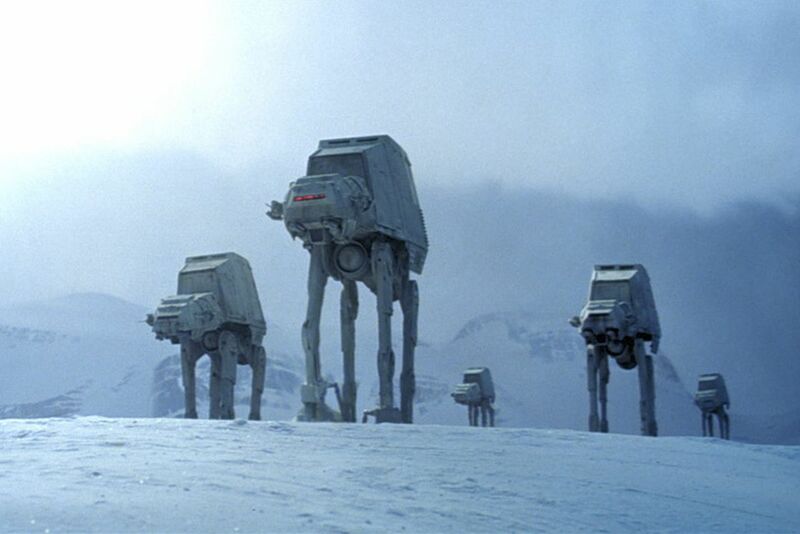 So, people who went deep on AT-ATs should be prepared for a quick return of this popular vehicle, and plan accordingly. The new version will probably have Stormtroopers and/or Scouts instead of Snowtroopers. We are less likely to see the return of Clone Wars or Prequel Trilogy sets. Some PT will be released, but they will be fewer and further apart. The fans that were kids in the PT era will have aged and become AFOLs in this new universe. They may be on the lookout for neo-classic PT sets. I'd almost expect some movement on these in the coming years. People who snapped up discounted Jedi Interceptors, Grievous Wheelbikes and other "Hero" vehicles with main characters should see good returns. The 75019 AT-TE and the 75021 Republic Gunship which featured prominently in both the Clone Wars and two of the Prequel Trilogy, are likely to gain demand. LEGO has also shown they are willing to release variations within a year; with the release of both 75102 Poe's X-Wing and 75149 Sacking of Jakku, we will have 2 concurrent X-Wings on shelves. (Although my force sense says that the Sacking of Jakku will be a store exclusive.) Some people are even speculating about a third X-Wing, a classic one, for the launch of Rogue One. Although I think that's less likely to happen in 2016. In summary, my intuition tells me that we will see faster turnover (to keep up with the new films), fewer sets from movies that do not feature events or vehicles in the new films, and potentially faster remakes of popular ships specifically because they will be featured in an upcoming films. We're also less likely to see Prequel Trilogy sets in heavy rotation as Disney moves forward with OT era and ST era sets. What does this mean for the future? "Difficult to see . . . Always in Motion is the future." We will need to look at new factors. Look for the one offs. If there is an important character that doesn't make it out of the movie alive, any set with that character will become a key later on. If there is a vehicle that is used prominently in a single film, it will become desireable later. Rey's Speeder will do nicely post retirement. It is well made, represents the vehicle nicely and is unlikely to be used in another film. It's also a cheap set that many will have ignored. It will be revisited eventually, because LEGO is never completely done with remakes, but it will be years, unlike the TIE Fighter, X-Wing, Millennium Falcon, AT-AT, etc. Will the old Han in 75105 be enough to lift that set up when another Millennium Falcon will (almost) definitely be out in 18 months? It's possible. . . Looking at recently retired, or in production Prequel Trilogy sets the Jedi Interceptors (75038, 75135) and Grievous Wheel Bike (75040) are likely to be steady gainers. The Naboo Fighter (75092) and Sith Infiltrator (75096) will probably fly under the radar for a little while before picking up steam when fans realize that they missed their last chance at retail. Did anyone notice that the AAT 75080 quietly retired? Scene builders will want some of these, and won't be able to get them from retail. The Republic Gunship and AT-TE (75019 and 75021) will probably be highly sought in the near future. Only time will tell if my predictions are right. I feel strongly that the old model has been destroyed by the (Disney) Empire. For better or worse, we should anticipate changes. In the past, OT sets were the safest bets, but with the anthology films coming, we'll see more and more of those. In addition, We'll likely see some movement on a few sleeping dogs. Imagine a Han Solo film or even one about Boba Fett without a hint of Jabba the Hutt. Unlikely I think. Now, imagine those disappointing Jabba's Palace and Sail Barge sets when TLG makes a smaller "Encounter with Jabba" set. Really, it is better to anticipate change than to be caught unaware and have to catch up. If nothing else, it's all food for thought. One addendum, premium sets like the UCS sets will always have their place and demand. That is unless The LEGO Group continues to dilute the brand with inferior playsets or future remakes. May the bricks be with you . . . always. Some footage of Rogue One trailer & images were leaked this week which show scenes of a different style AT-AT tan/beige in color with a door on the side.Lego'smingly dumb move of retiring 75054 just as they release a UCS Hoth set could be because they have plans to release this tan version as part of the Rogue One sets.Rumor is a trailer of some sort will be shown during the previews of Superman V Batman.In the snippet of footage leaked there is a watermark across the top "Rogue1__BvS" so it seems believable. The weapons on the head are different and it doesn't have the big round thingy on the underbelly, but otherwise it looks pretty identical to me. I don't believe the change in color is anything other than a yellow sun background instead of an icy planet. They likely will re-release the AT-AT under a Rogue 1 banner but I doubt it'll be much different. Does this hint that I should unload my At At sets now, before the new set arrives? Based on this thread, I've dipped my toe into investing. I picked up the Sith Infiltrator, Naboo Starfighter, and a Tydirium to sell later - plus an extra Tydirium for myself. With the May 4th sale, I got double VIP, poster, and polybag Stormie. What do you think, am I starting off on the right foot? Any others including non-Star Wars I should get while the sale is still going on?